There’s simply nothing quite like a MINI. Fun-to-drive, fuel-efficient, and covered by one of the industry’s best maintenance and warranty programs, the MINI Corporate Sales Program has the potential to transform your commutes and business trips. Eligible drivers of enrolled corporations will receive several exceptional benefits. To see if your company qualifies, download our List of Qualifying Companies. To learn more about how you and your organization can participate in the MINI Corporate Sales Program contact our General Sales Manager, Jason Brinkman via email or at (734) 272-4567. Why blend in when you can stand out? MINI Vehicles are designed to do exactly that. As an employee with a fixed monthly or yearly car allowance, you can take advantage of the MINI Corporate Sales Program. (To qualify, your company should employ 25 or more individuals who receive a monthly or yearly car allowance). 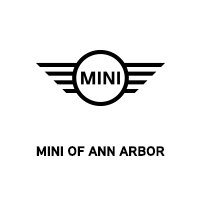 To get the enrollment process started today, contact MINI of Ann Arbor. **Our Roadside Assistance comes standard with every MINI for the first 4 years/unlimited miles and is available 24 hours a day, anywhere in the U.S., Canada and Puerto Rico. The program offers towing, locked-out service, on-site assistance and even custom computerized trip routing service. The 24 hour roadside assistance begins on the original in-service date. And for a nominal fee, the MINI’s Service Card extends this service after the New Passenger Car Limited Warranty for as long as you wish. For important details, see the MINI Service and Warranty Information booklet or visit an authorized MINI Dealer for terms, conditions & limitations. Some images may not reflect U.S. spec MINIs or current model year, or show owner modifications not available through MINI USA or authorized MINI Dealers.